Rosy-fingered Dawn cast such a pretty light on my banana bread that I thought I ought to change its name. 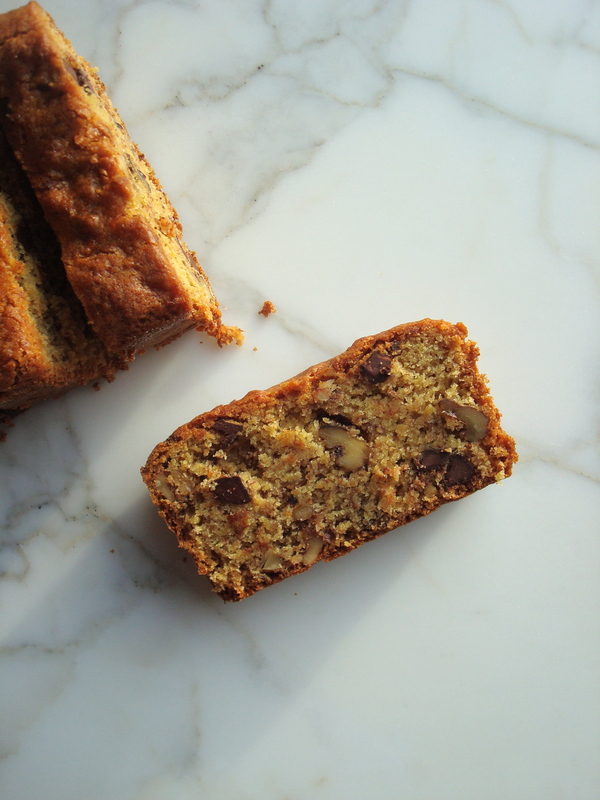 I am all about banana bread. I love it’s golden crumb, the characteristic black specs from the cooked bananas, with or without nuts. Chocolate chips? Yes, please. Coconut? Sure. Gooey dates? Why not? However it is tricked out, I am sure to be a fan. And then there is Sunrise Banana Bread. Quinoa, native to the South American Andes, was a sacred food of the Incas AND has been eaten for 6000 years (! ), for good reason, too. The grain-like seeds are nutritionally dense: high in protein, fiber and complex carbohydrates. Quinoa is also gluten-free, lucky me. 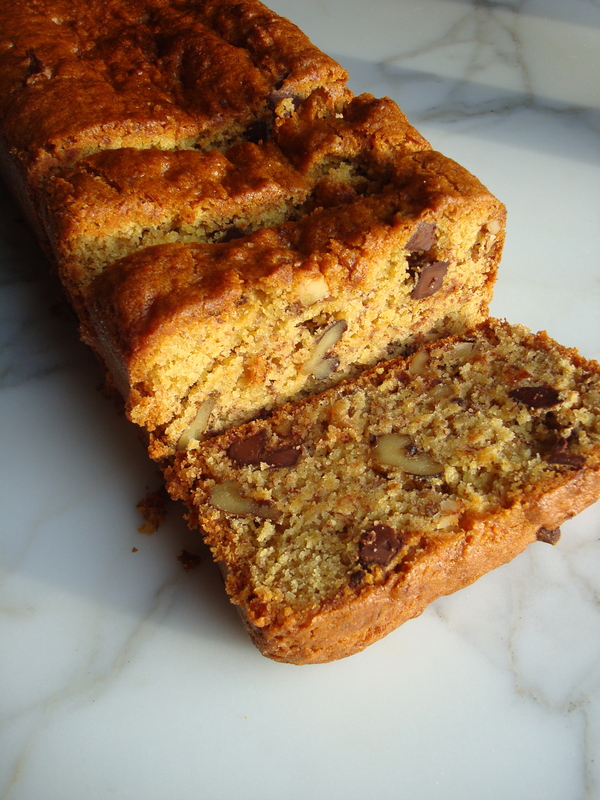 Its flour, though rather pricey, imparts a subtle nuttiness to baked goods and pairs particularly well with bananas, dark chocolate and nuts, hence the ingredient combination. I also really appreciate that I don’t get the sugar blues after a few bites. The addition of quinoa, with its high protein and fiber content, means you digest it s-l-o-w-l-y, which is great for your blood sugar. This is health food, People! Health food with a sweet facade. I wish I could take credit for this recipe, but alas, I can not. This is adapted to be egg-free from Bea’s recipe at La Tartine Gourmande. Grease and flour a 5×9 loaf pan, tapping out excess flour. In a separate bowl mix wet ingredients until relatively smooth. In a third small bowl mix the egg replacer. Add the egg replacer to the wet ingredients and then fold in the dry ingredients, mixing until there are no more lumps. Stir in the chocolate and walnuts. Scrape/pour into the prepared loaf pan. Bake 50-60 minutes until a toothpick inserted comes out clean. If your loaf browns too quickly, simply cover with aluminum foil. Allow bread to cool slightly before loosening from the pan.